The 8086 is a 16-bit microprocessor chip designed by Intel between early 1976 and mid-1978, when it was released. 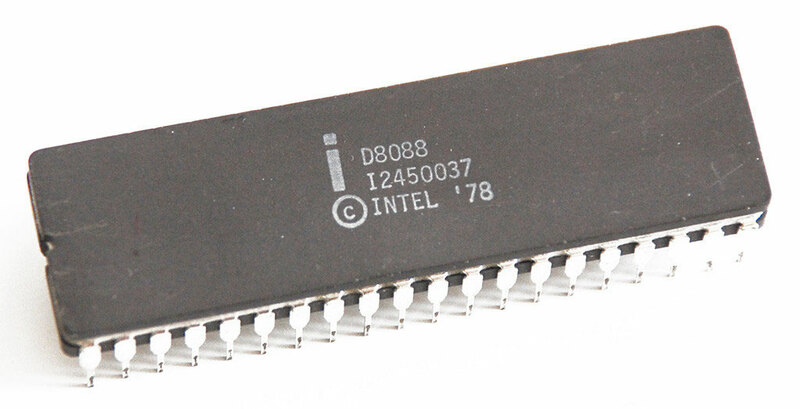 The Intel 8088, released in 1979, was a slightly modified chip with an external 8-bit data bus (allowing the use of cheaper and fewer supporting ICs), and is notable as the processor used in the original IBM PC design, including the widespread version called IBM PC XT. The 8086 gave rise to the x86 architecture which eventually turned out as Intel's most successful line of processors. 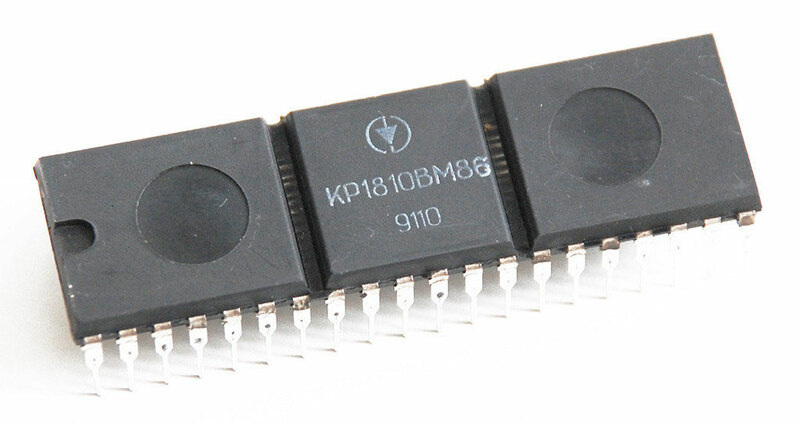 The K1810VM86 - originally К1810ВМ86 - is a Soviet-made single-chip 16-bit microprocessor that performs nearly 2 million operations per second. 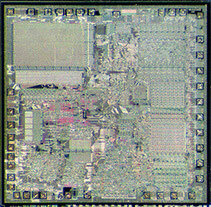 It has a synchronized clock frequency of 2 to 5 MHz. It is a clone of the Intel 8086 microprocessor, with a clock frequency of 10 MHz. Like the 8086, it has a 20-bit address bus, which allows for direct addressing 1 MB of external memory. Kindly donated by Pavel A. Zagrebin. 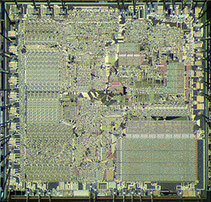 Floating Point Unit (FPU) ? The Intel 8088 microprocessor is a variant of the Intel 8086. 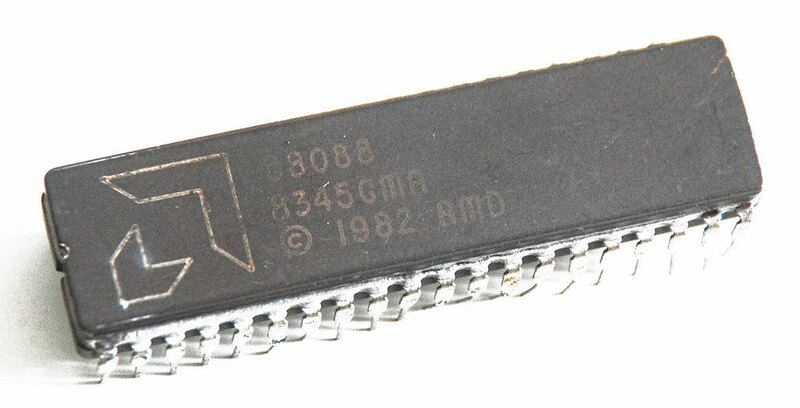 Introduced on July 1, 1979, the 8088 had an 8-bit external data bus instead of the 16-bit bus of the 8086. The 16-bit registers and the one megabyte address range were unchanged, however. 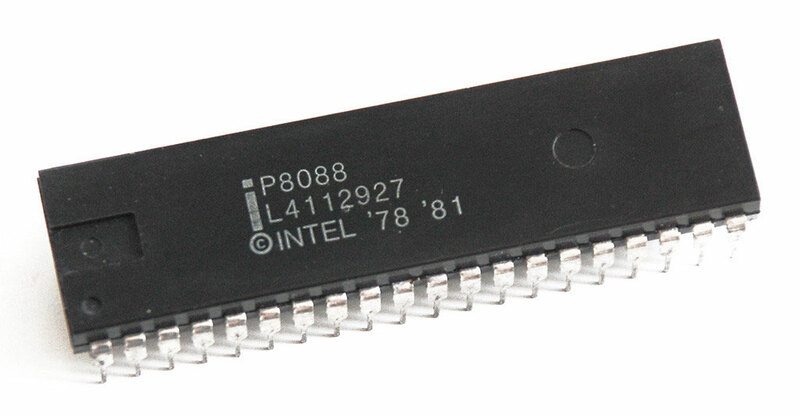 In fact, according to the Intel documentation, the 8086 and 8088 have the same execution unit - only the bus interface unit is different. 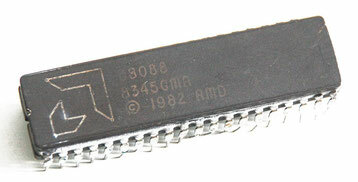 The original IBM PC was based on the 8088. Kindly donated by Pauli Rautakorpi. Sumbit a picture or contribute to the museum!